What happens when an actor owns shares in the stage on which he performs and the newspapers that review his performances? Celebrity that lasts over 240 years. From 1741, David Garrick dominated the London theatre world as the progenitor of a new 'natural' style of acting. From 1747 to 1776, he was a part-owner and manager of Drury Lane, controlling most aspects of the theatre's life. In a spectacular foreshadowing of today's media convergences, he also owned shares in papers including the St James's Chronicle and the Public Advertiser, which advertised and reviewed Drury Lane's theatrical productions. 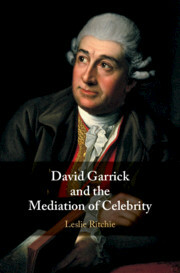 This book explores the nearly inconceivable level of cultural power generated by Garrick's entrepreneurial manufacture and mediation of his own celebrity. 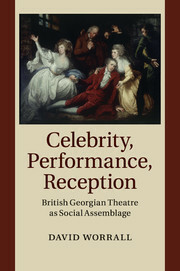 Using new technologies and extensive archival research, this book uncovers fresh material concerning Garrick's ownership and manipulation of the media, offering timely reflections for theatre history and media studies. Leslie Ritchie is Associate Professor of English Literature at Queen's University, Ontario. 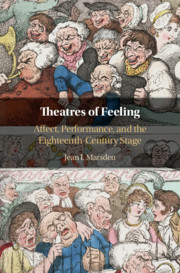 She is the recipient of a Social Sciences and Humanities Research Council of Canada grant and has received fellowships at the Houghton Library, Harvard, and the Folger Shakespeare Library for her work on David Garrick. 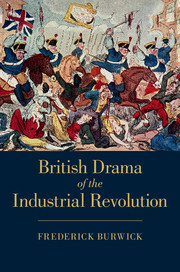 Ritchie's previous work includes Women Writing Music in Late Eighteenth-Century England (2008). 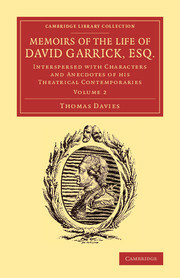 Memoirs of the Life of David Garrick, Esq. 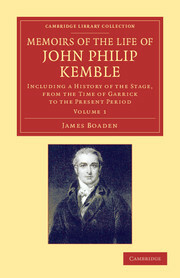 Memoirs of the Life of John Philip Kemble, Esq.